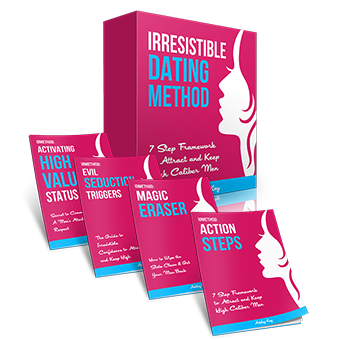 My core dating program based on the 7 Step framework For Attracting & Keeping High Caliber Men. The framework is broken up into 3 primary sections and takes you through meeting, attracting, dating and getting a man to commit (and even propose if that’s what you want) within the next 12 months from beginning to end. This program delves into how to be more attractive, intriguing and alluring in a way that makes men dying to pursue you and ask you out. If you’re struggling to get dates, this is a great program for you. It will help you transform into that “amazing and cool” girl that all men want to be with. This is my popular “save your relationship” program that will help you get your ex boyfriend or girlfriend back. If you’ve messed up, said things you shouldn’t have and would like a second chance with your partner, this program details a step-by-step strategy of how to get them back.